I am a professional pianist with a great passion for teaching. Being an active performer means that I am constantly learning, and that helps to constantly renew my piano teaching ideas. I am a Master graduate of the Guildhall School of Music & Drama, where I studied piano performance under the tutelage of Paul Roberts. I am a Licentiate of the Royal Academy of Music (LRAM) in Piano Teaching and I have also studied the piano with Tessa Nicholson at the Royal Academy of Music whilst completing my Bachelor degree at King's College London. 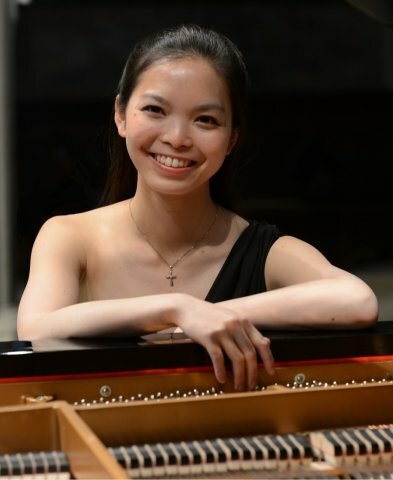 Hailed as the “Talented Pianist” (Eastern Daily Press, 2017), I make frequent appearances on musical stages across the UK and Europe, as well as in Hong Kong. I have had the privilege to collaborate with world-renowned pianist Noriko Ogawa in a piano duet concert in 2016 and had been a concerto soloist with the University of Cambridge Philharmonic Orchestra in 2017. In 2018, I performed the London premiere of Grace Williams’ Sonata for Violin and Piano. I have performed for the British Military Services, as well as the Hong Kong Economic and Trade Office at a number of European countries. Get in touch to book your first lesson! I teach on my Steinway Boston grand piano at my studio in Surbiton, London. My students will learn the right techniques on my professional instrument. Having gained a wealth of teaching experiences in the U.K… Hong Kong, India, and China, I am able to tailor lessons for individuals, regardless of ability, age, culture, and purpose. I welcome pupils of all abilities, from beginner to diploma standard. I am familiar with the ABRSM and Trinity graded and diploma exam syllabuses, and theory elements are also introduced in my piano lessons. I am able to help GCSE and A-level music students prepare for their performance exams. I endeavour to provide an all rounded music learning experience to my students. It is equally important to listen and appreciate, play by ear and to play by sight. Making music helps one to express complex emotions that cannot be conveyed by words. Even though practising the piano may often be hard work and require persistence and discipline, I device fun and manageable exercises to motivate my pupils to practice. Improvisation also plays a huge role in my teaching as I have discovered that the ability to improvise has great impact on reducing performance anxiety and improving sight-reading! ConstanceFrom Michael (5/5): Really good teacher, was really good at explaining everything and answering questions so i understood what i was doing rather than just following instructions. She helped me identify things to work on to help my music knowledge outside of piano playing such as rhythm and also how to get the best sound out of my playing. ConstanceFrom Hong (5/5): Constance is a patient and friendly teacher to young children and she always has clear instructions to student. Both me and my son enjoy every lessons with her.